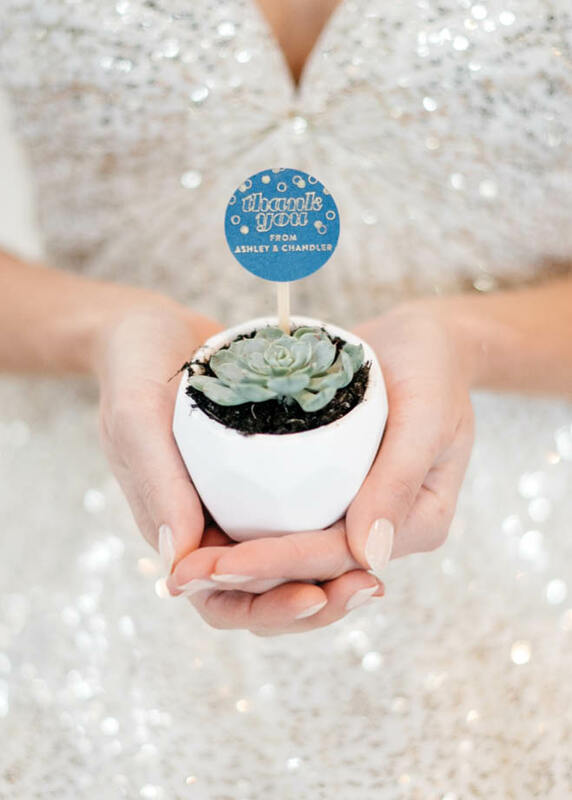 Our friends over at Minnesota Bride shared their thoughts on why hosting your wedding on the biggest party night of the year is a fantastic idea, and we figured you'd also like to be privy to those reasons. *Please note: In an effort to maintain the integrity of the article, we've included the Minnesota vendors originally involved in the feature. While we know they're not local, they've shared some great information and serious Pinterest-worthy images. Enjoy! Many brides dream of a sunny summer wedding—after all, June is the most popular month to get hitched. But lately it seems that more and more brides have been ditching the traditional and seeking something with a bit more flair. For these fun and adventurous couples, the perks of tying the knot on the last night of the year are proving too spectacular to resist. If serving champagne all evening is too much for your budget, cava, prosecco or even a fizzy cocktail will work just as well. 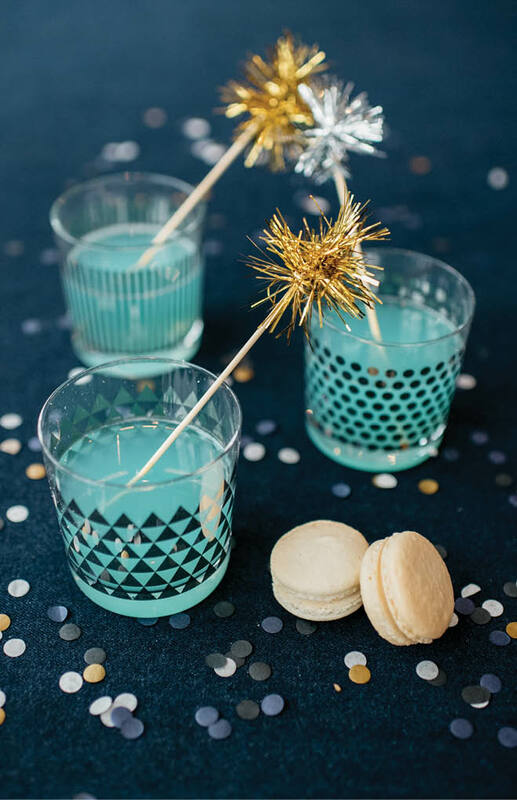 From sparkly tablecloths to gilded candelabras, a touch of gold on your glassware to all-out glitter in your decorations, if you’re ever going to throw a bash that sparkles and glows, New Year’s Eve is certainly the night to do it. 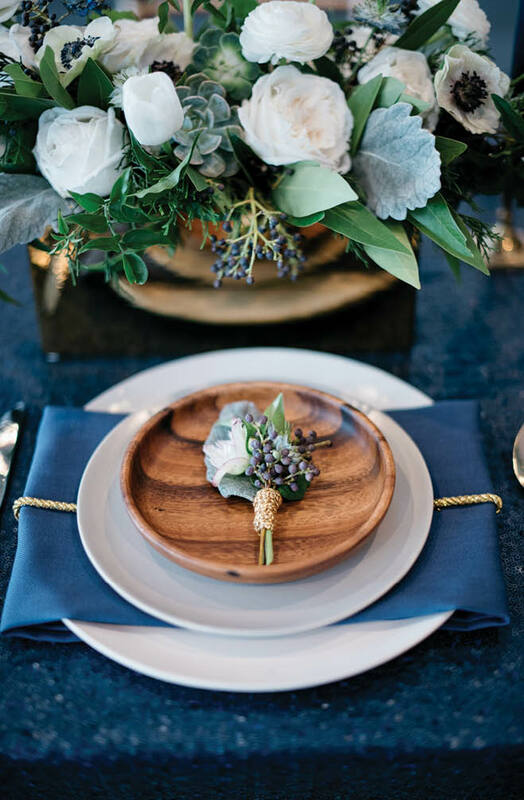 “A lot of the fun New Year’s elements are already in a regular wedding, so this is really the time to just commit and go big,” says Sarah Trotter, owner of Lasting Impressions Weddings in Minnetonka. If the traditional order of events seems a bit too, well, traditional, you’re in luck. “It can be a long night so the typical routine doesn’t work very well for New Year’s Eve,” says Mazumdar. “I suggest mixing things up a bit. Start the evening at 5 or 6 o’clock. Give guests champagne as they enter the ceremony. Do the entire cocktail hour first and then go right into dinner after the ceremony. Or intersperse dancing with the dinner courses.” The goal? Keep the energy high and the sitting to a minimum. It’s no secret that the New Year is a time to make resolutions and plans for the year ahead. 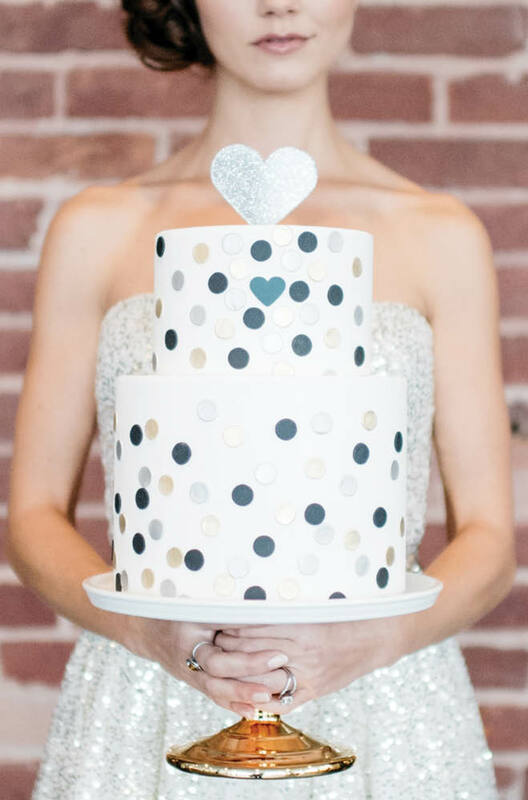 Incorporate this NYE tradition with a new year’s wishing well or resolution jar instead of a guest book, or turn it into something fun and interactive like having your guests write their resolutions on a chalkboard for the photo booth or, if your venue allows it, pinning their wish on a candlelit sky lantern and letting it float away into the night. There’s no more festive time of the year than midnight on December 31st, especially surrounded by your closest family and friends. Party favors are a must, but if the typical 2016 glasses and hats are too tacky for your taste, Mazumdar suggests checking Etsy for chic versions to match your palette. Then add in some fun photo booth props, confetti poppers, simple party horns, tiaras and top hats. It’s kind of symbolic, isn’t it? Starting your new marriage right at the start of a brand-new year makes for two momentous occasions that go so perfectly together. The bonus? You’ll never have an excuse to forget your anniversary—or be without a big bash to celebrate another year of wedded bliss. 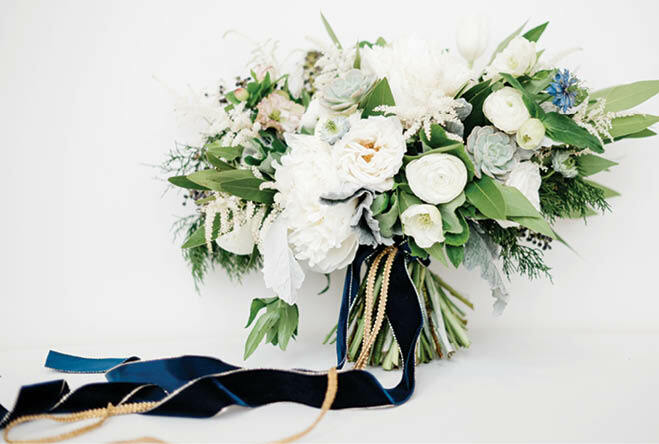 While the basic elements of a New Year’s Eve wedding may be the same as an event on any other night of the year, some details are unique to the revelry of December 31. 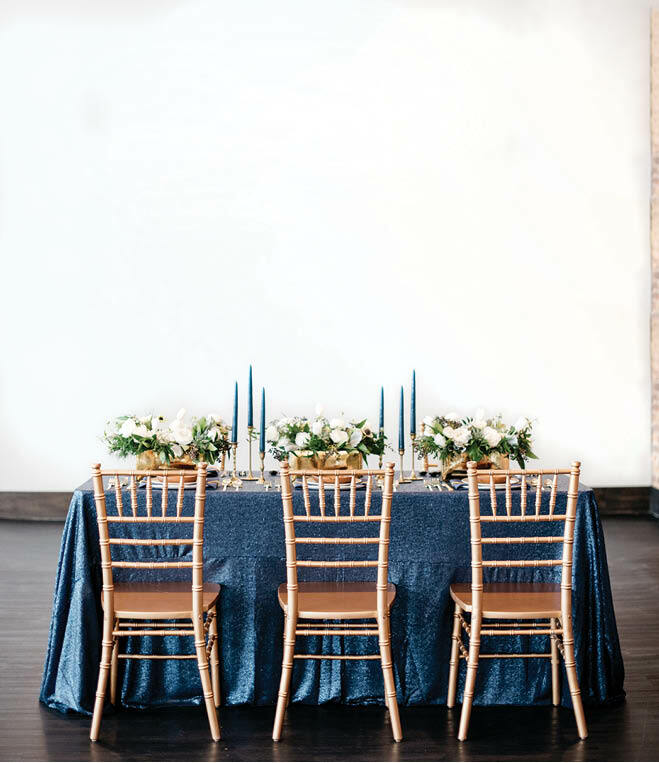 Read on for expert tips to help make sure your New Year’s event sparkles. Some locations can book up to a year or more in advance. But don’t fret yet: Many gems are still available mere months before. “Everyone I know who has booked NYE has done it within a year, especially if it falls on a weeknight,” says Mazumdar. The takeaway? With a little flexibility and legwork, it’s never too late to make your December 31 dreams come true. Compared with typical weddings, people will drink more—and stay later—at New Year’s Eve weddings, says Trotter. (It is the biggest party night of the year, after all.) So be sure to take the inflated bar tab into consideration when deciding what types of alcohol and how much to host throughout the evening. More alcohol and a later night mean more food, more often. “Start the cocktail hour with heavy appetizers to make sure everyone kicks off the long night with something substantial to eat,” says Ebert. As the evening progresses, offer late night snacks like mac and cheese or sliders, and consider sending partygoers home with a small box of cookies, doughnuts or other fun treat. “On New Year’s Eve, signage is so important,” says Mazumdar. “Let people know what’s going to happen and when by outlining the schedule on a sign on an easel.” Key items to note include when and where additional food will be served, what to expect for the New Year celebration and what is hosted at the bar. New Year’s Eve is notorious for treacherous roads and long cab waits. To keep guests safe and comfortable, choose a venue with a connected hotel or one within easy walking distance. For those who need to hit the road, consider arranging group transportation, or as Ebert suggests, hiring a service like Last Call Car Service to provide safe transportation home for both the guest and their car.